A sailing legend shares knowledge gained from a half-century of racing and singlehanding on the world's oceans. This is a collection of essays that were first published in "Yachting World" magazine. 5th ed. Melanie Bartlett has completely updated this handbook for boat owners, explaining the engine and all relevant sub-systems. Her advice extends to tools and winterizing. Hints, tips, and helpful fault-finding tables for troubleshooting are complemented by new colour photos and diagrams. This highly visual guide will help you deal confidently with your diesel engine. Berwick introduces you to all parts of the system--from the topsides' fuel fill to the shaft and prop. More than 300 illustrations guide you through seasonal engine maintenance, winter lay-up and protection, storing your engine in the tropics, spring recommissioning, and more. "Seeing is understanding" underlies the approach, here. Every procedure begins with a list of required tools and equipment, including personal safety and cleaning equipment. This book is ideal for absolute beginners and makes clear what they can and cannot do safely. A fabulous book. Dedekam's concise text is well-illustrated, making the answers to your trim and tuning questions easy to find, understand, and implement. This manual provides all you need to know to confidently operate your vessel in close-to-shore waters. Headifen's clear descriptions are accompanied by QR codes that, when scanned, link to instructional videos and animations. 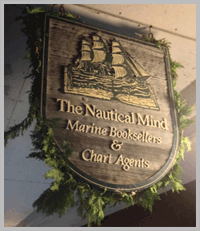 The author is associated with NauticEd, which has certified thousands of people to skipper bareboat in locations worldwide. As anyone who has tried to steer in tight places knows, boats have no brakes and are mighty susceptible to practical jokes played by wind and tide. In step-by-step photographs, Bolle and Andrews show you exactly where you need to position your boat in various scenarios, and exactly what you must do with the wheel, tiller, or throttle lever to get it there. Traditional three-strand rope may be disappearing, but the need to splice, hitch, and understand modern braided rope still exists-hence this pocket-sized guide to all splicing techniques. The author, a sailor and specialist in synthetics, runs workshops on splicing modern synthetic and braided rope. 4th ed. Calder's indispensable and thorough manual gives you detailed instructions for maintaining, repairing, and improving every essential system on your boat. Topics include hybrid propulsion systems, distributed power systems, and fuel cells, and the rest of the contents have been completely updated. One of our all-time bestselling titles. Emergency navigational solution! Burch's handbook teaches you how to get a position fix at sea when your boat has no power and the GPS is useless. His compact and inexpensive method features easy-to-use tables and procedures. If you don't have time to master celestial navigation before you hoist anchor, this booklet (plus a Mark 3 sextant) offers the minimum backup kit you'll want to pack, to get you safely to your destination when the unexpected happens. An at-a-glance handbook to recognizing clouds and their meaning that's great for use on land or sea, anywhere in the world. Accessible and practical, it will help you predict the weather by recognizing cloud types, shapes, colours, and behaviours.